Juicy's three Vintage Airstreams are all dolled up, each with their own unique theme. Each one sleeps 4 people. This 1965 Vintage Airstream has all the original wood. Its festive Margaritaville/Parrot style decor with a covered thatched roof is the perfect place to relax & enjoy a cool Margarita! 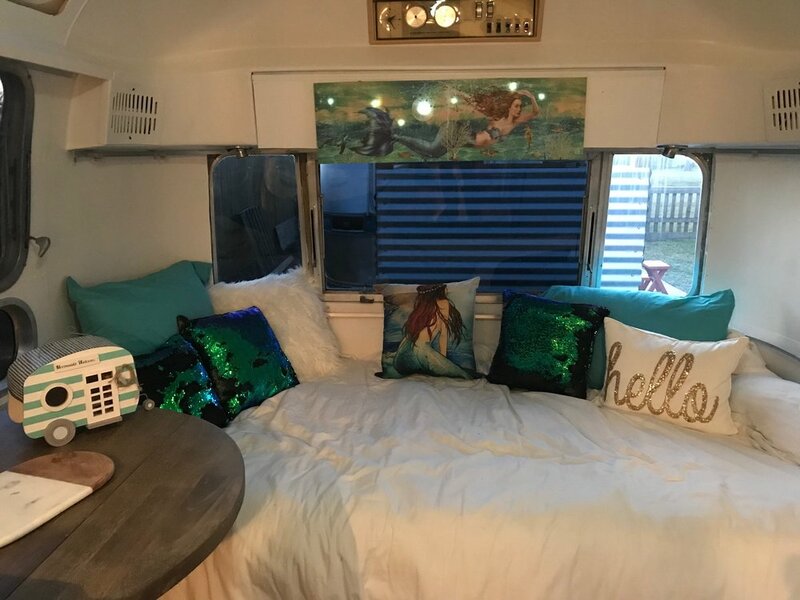 This 1970 Airstream is adorned with coastal Mermaid decor, from white washed shiplap walls to Mermaid bedding! You will feel like a real life Mermaid! Is the largest of them all. It's a 1980 Vintge Airstream with total 80's decor. Imagine being surrounded with black, pink & gold 80's decor! You won't want to leave the lounge chair - EVER! THE BIG CHILL The largest of our fleet. She's a 1985 retro vintage Airstream. 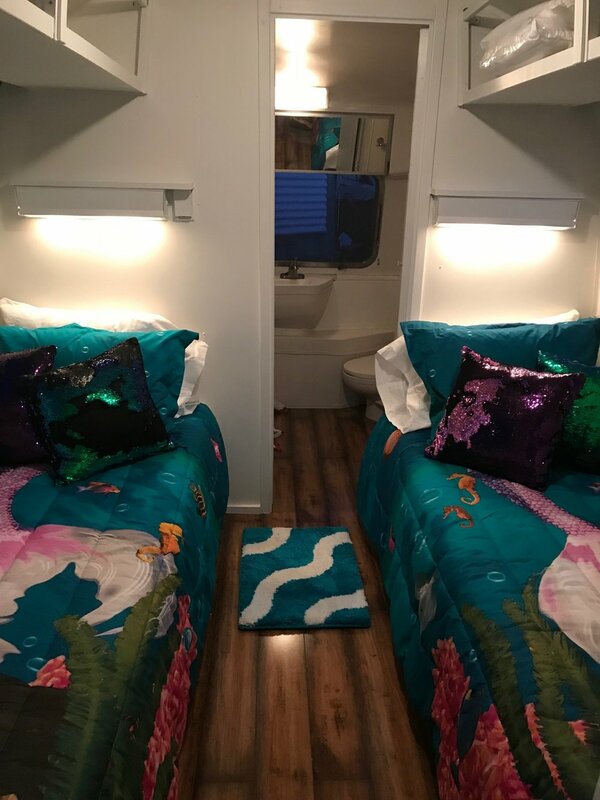 You will love GLAMPING in this 80's decor!